NERP is not exclusively Raspberry Pi, the small computer and embedded systems interest group at Pumping Station:One in Chicago. NERP meets every other Monday at 7pm at Pumping Station:One, 3519 N. Elston Ave. in Chicago. Tonight the NERP agaenda is free-form. Hang out, talk embedded, show-and-tell, it’s all possible! NERP is free and open to the public. At NERP on Monday, Rob will be giving a presentation on the STM Nucleo boards. These are 12 distinct but similar ARM development boards from ST Micro. These are simple, easy to use and only $10. 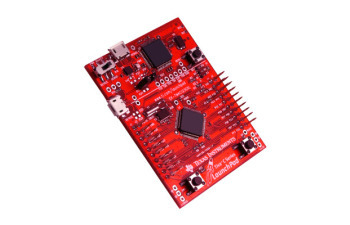 They have Arduino- compatible hardware interface for add-on boards (Arduino Shields), as well as their own interface that exposes additional rich features specific to the STM32 microcontrollers. We will talk a bit about why Rob chose ARM for his next project, why he specifically chose STM, and the capabilities of the various Nucleo boards. We will cover the mbed.org development site, the development process, and the libraries available. We will also provide a brief overview of doing a bit more low-level development using STM32CubeMX and STM’s HAL (hardware abstraction layer) libraries using the GNU ARM toolchain on Windows, Linux, and OS X. *Copy for this announcement was supplied by Rob. Thanks Rob! These days embedded computing “means” wireless data. 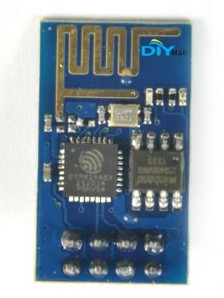 Wireless chips and modules are cheap and easy to get. Small inventors (e.g. individuals or low-funded ad-hoc groups) are getting all kinds of ideas for wireless projects and products for the IoT (Internet of Things), wearables, WiFi, ZigBee, BLE, etc. A SparkFun ESP8266 WiFi radio. Small and cheap. All the cool kids want one. Because of FCC requirements, the path to market for traditional wireless devices can be long, complex, and expensive. Unfortunately, the regulations are hard to read, even when made “accessible”. The “modular” data radio is an FCC innovation that is supposed to lift some of the regulatory burden off makers of small-run products. Does it? 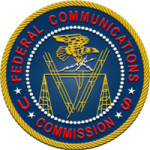 For small inventors doing small wireless products, is FCC certification necessary? Are there combinations of power and frequency that are exempt from oversight? What are some design choices can make compliance cheaper, easier, and faster to get? What are the steps to certification? Where do you start? How much of the process can you do by yourself? Whom do you need to hire? The FCC has an interest in pretty much any device that emits radio waves. Steve Laya from Elite Electronic Engineering, Inc. in Downers Grove will help us understand how FCC regs relate to Maker/Hacker/DIY inventors and entrepreneurs. Elite does electronics compliance testing for a number of industries and government agencies. For the FCC, they do the actual tests and issue certifications of compliance. Bring Questions! Attending NERP is free, and no one is compensated for organizing or presenting. Nothing in NERP presentations constitutes actual legal or engineering advice. If you need the help or advice of a lawyer or engineer, please hire one. Since the days of Windows 3.1, personal computers have used 32 bit CPUs. It was a simple world. Microcontrollers were 8-bit and PC’s were 32-bit. Due to crazy cheap and small single board computers, multimedia-capable CPUs are doing tasks formerly done by 8-bit MCUs. But there are also lots of 32-bit microcontrollers. The casual distinction between a computer module and an MCU is whether the unit normally runs a general purpose operating system like Linux or Android. Why would a designer choose a dumb ‘ol microcontroller over a module with HDMI? In many cases an MCU with a slow clock can do I/O related real-time tasks that are difficult (or impossible) to code on a RPi. Built in peripherals like timers and A2D have always simplified MCU board design, and wireless drivers as on-chip peripherals are becoming common. If 0.5mm pin spacing doesn’t scare you, you can design your own system from the board up. Microcontrollers aren’t going away any time soon, especially in industrial measurement and control applications. Several months ago NERP looked at the Teensy 3, an MCU module that uses a 32-bit ARM “M4” based microcontroller IC made by ST Electronics. In ARM land, M designates a microcontroller. The Texas Instruments Tiva-C series (formerly Stellaris) MCU ICs are also based on an ARM M4 design. The Tiva-C family’s main advantage is super low power consumption. As with lots of other MCU families (at TI and others), there is an Arduino-like development environment for rapid prototyping. TI calls it’s MCU demo boards Launchpads. Daughterboards (“shields”) are called booster packs. At NERP tonight we’ll see a Tiva-C launchpad and the “sensor hub” booster pack running with Energia, TI’s Arduino-based IDE. Speaking of analog — Tonight we’ll have a brief diversion into the land of discrete analog electronics. The Colpitts oscillator is an alternative to Direct Digital Synthesis for producing sine waves in the RF spectrum. Joe Talafous has been working with the Colpitts circuit, and he will show us how to get RF out of a few cheap components. I like to remember that Electronics for the DIY’er used to be “hard” before the advent of Arduino shields. Facetiously it might be said that analog RF is _real_ electronics. A special request for a worthy cause: Cathleen Doyle (cdoyle at northbrook dot info) tells us that the Northbrook Public Library will be running a whole month of programs this June highlighting maker/diy activities. They’re hoping to find someone who could give an awesome, introductory lecture/demonstration on the many uses of Raspberry Pi’s and how they work. Would there be anyone PS1 could recommend and who would be willing? We do pay! Mark Mills is an embedded hardware/software engineer with experience using many different hardware platforms and software systems including RTOS’s and Unix/Linux. Tonight Mark will introduce the Yocto Project, Open Enea Linux, and do a brief demo on a BeagleBone Black. The Yocto Project™ is an open source collaboration project (including TI, Intel, Freescale, and others) that provides templates, tools and methods to help you create custom Linux-based systems for embedded products regardless of the hardware architecture. Open Enea Linux uses the Yocto Project as a base platform to make it easy to explore using a Yocto based Linux on an inexpensive development board. Enea is an international software company based in Stockholm, Sweden. Enea offers proprietary and Open Source operating system solutions (RTOS and Linux), including development tools, network protocols, databases and middleware. They are the third-largest player in the world for realtime operating systems. Find NERP and Pumping Station:One at http://www.meetup.com/NERP-Not-Exclusively-Raspberry-Pi/ and https://pumpingstationone.org/ Doors open at 6:30pm. The next meeting is January 5th, 2015. NERP is not exclusively Raspberry Pi, the small computerand embedded systems interest group at Pumping Station:One in Chicago. NERP meets every other Monday at 7pm at Pumping Station:One, 3519 N. Elston Ave. in Chicago. Andrew Kilkenny is a professional embedded Android kernel hacker. At NERP on Monday he will introduce Android as an emebedded OS. He’ll show functional demos, then after the meeting have a hands-on Android compilation festival. If you want to partcipate in the hands-on part, clear out some space on your hard drive for Eclipse and the Android Libraries! The Android Operating system has revolutionized the embedded world. Originally developed for your phone, the Android Open Source Project (AOSP) enables the adaptation of the cell-phone oriented operating system into any product you can dream of. You can find Android in Airplane In-Flight-Entertainment Systems, in Washing Machines, and in Refrigerators. 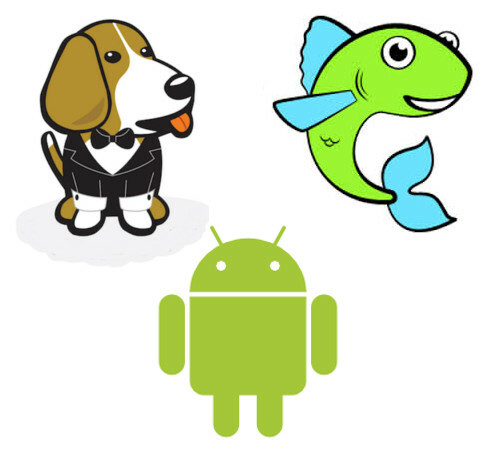 Any embedded system with an LCD screen can benefit from Android’s advanced Graphical User Interface (GUI) tools by rapidly developing Android Applications using the stock development environment. Join us for NERP where we explore how to use embedded Android on the BeagleBone Black (BBB) and Minowboard MAX. We’ll load the software, hop in on a command line, and twiddle some bits! We’ll also go over Android software architecture and practical applications of embedded Android. Following the NERP session there will be a guided demonstration on downloading and installing the AOSP and eclipse tools. A computer with Ubuntu (12.04 or 14.04) and lots of hard drive space will be needed to build the AOSP. The Internet of Things (IoT) need lots of options for wireless communication hardware. Lots of variables are involved in choosing the wireless chip or module that links your new Thing to all the other Things. A popular last millimeter link is UART based serial. the big end of the link can be wifi, or uart-style data., or whatever convention you come up with. This class of hardware has been around for a long time. The serial to wifi link used to be called a com-port redirector. Commercial units could easily cost $200. The competition pressure brough on by the IoT movement has produced a crop of really inexpensive data links. They list now on Amazon for $2-$10. A lot of them have Arduino sample code available. I just bought two different boards from Amazon, and tonight I’ll evaluate one or both units and see what’s involved in making them go. Station:One, 3519 N. Elston Ave. in Chicago. Doors open at 6:30pm. The next meeting is November 24th, 2014. The MinnowBoard is one of the newer open (or open-ish) hardware and software single board computers. The Minnowboard showcases Intel’s Atom processor. The audience is the Raspberry Pi and BeagleBone crowd, but the feature set and price puts the MinnowBoard in a different class. Drew got his last week and has gotten a good overview of the system. He’ll share his findings with us tonight. The BeagleBone is a fast-moving software project where major pieces of the system are under constant revision. I’ve been digging around the BeagleBone Black’s i/o system and playing with some configuration options. Tonight I’ll show a couple of sources of tools and code that I’ve found useful. Doors open at 6:30pm. The next meeting is November 10th, 2014. Tonight’s NERP will be brought to you by Drew Fustini, PS1’s maven of all things Open Source. Drew recently got an FPGA cape for the BeagleBone. The cape is called a LOGI (http://valentfx.com/logi-bone/). He’ll show us what he learned as he road-tested the development tools and the cape. Also tonight NERP will get a brief overview of embedded computing topics from the 5th Open Hardware Summit (OHS), held this year in Rome, Italy. Drew went so we didn’t have to. I’m out this week, so thanks much to Drew for hosting the meeting.